In the current era, the defense field is shaping up quite well with several technological advances, and it is reflected by the introduction of newer and more sophisticated defense weapons. These weapons include laser and microwave energy, which is known for its unparalleled speed and precision. The additional elements help to detect the enemy SAR (Synthetic Aperture Array) radar system along with the FLIR (Forward Looking Infrared) system. They are primarily included to clog the enemy weapons by hindering the normal operation radar sensors. The laser and microwave transmitters which are used to clog the enemy weapons are designed in such a way that they rotate 360 degrees at a very high speed. It is quite natural that with high-speed rotation in place the wires get tangled very easily and becomes susceptible to frequent damage. To solve this issue manufacturers have resorted to latest slip ring technology. The primary function of any slip ring is transfer data and electrical signals from the stator to a rotor. 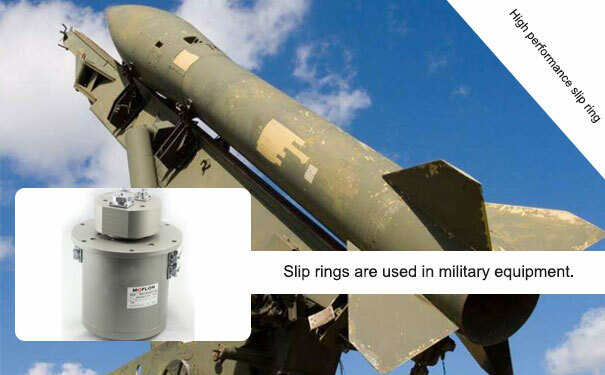 But, not all slip rings can be used in defenses weapons to carry out the same. As the transmitters in the defenses weapons exhibit intermittent 360-degree rotation, a very unique and a special kind of slip ring called the electrical slip ring is employed in such systems. The use of electrical slip ring depends on several factors like the physical structure, rotating speed, operating environment, and pecuniary constraints. The design cue for the slip ring is taken from the kind of environment under which it operates. There are several factors which affect the choice of bearing, flange mounts, type of cables employed, and coating material to be used. These factors include temperature, rotational speed, humidity, pressure, and exposure of slip ring to corrosive metal. Generally, for housing, the Aluminum material is used. Unless, the situation demands the use of stainless steel, which does happen in some special cases. As, the slip rings transmit power and electrical signals through the rotating structure, ascertaining the number of electrical circuits required becomes immensely important. 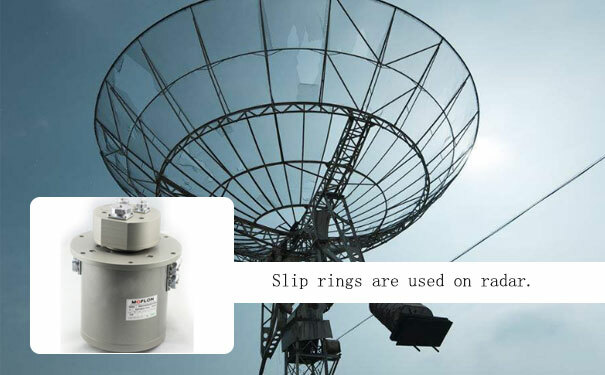 Also, the nature of signals and the electrical noise constraint standards play a key role in designing a slip ring, keeping in mind the necessities. For example, in case of a standard high power circuit which is used to activate the microwave or a laser transmitter requires extended conductive paths along with wide spacing between them in order to augur the dielectric potential. On comparing the electric consideration with the packaging consideration, it can easily be concluded that the packaging consideration is not as plain and simple as the electric consideration. The reason being, different sets of slips in design have its own specific set of requirements like some designs require extensive cabling and some slip ring designs require regular cabling. It should be noted that that set specific requirements affect the slip ring units inner diameter. For an instance, the designs where the radar avoidance and aerodynamics are important, the slip rings must have a smaller inner diameter.